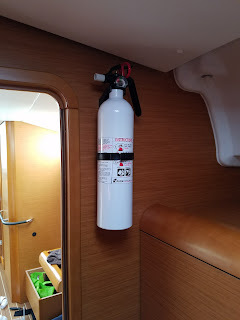 We have 3 x 10lb BC fire extinguishers on the boat per coast guard code. They were in boxes until today. I mounted them in the following positions so they are easy to get to rather than buried in some locker/lazerette. I mounted them with some stainless steel self tapping screws. 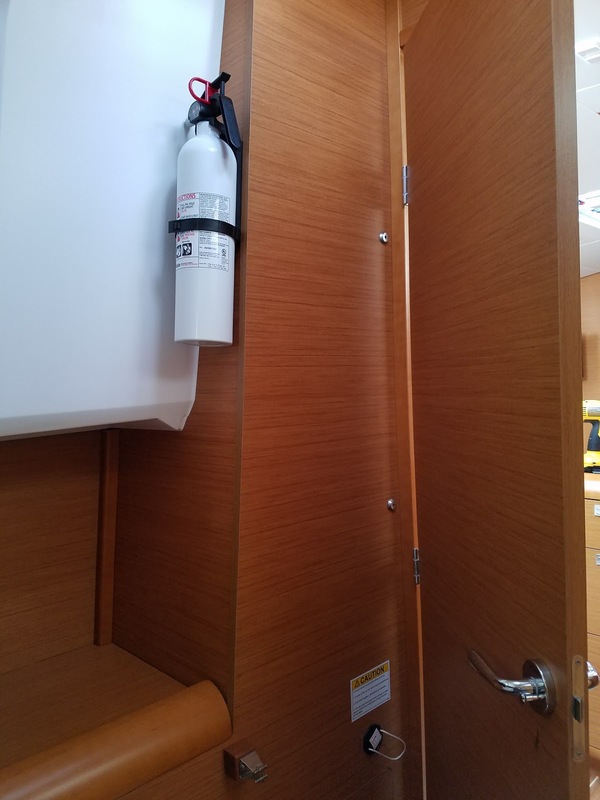 The plywood looks like 3/8 inch if I'm lucky. The one on the stairs is going nowhere, it's resting at the bottom on the top step. 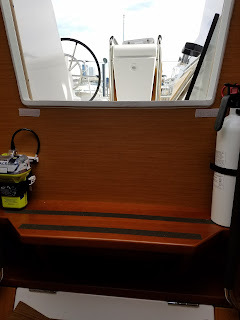 The rear cabin one is close to the engine extinguisher port and is on an incline and it's the rear of the boat so I think that one is pretty secure also. The forward berth one could possibly fall off if we were beating in to heavy seas so I may move that one to the other side of that bulk head and put it on the floor basically.